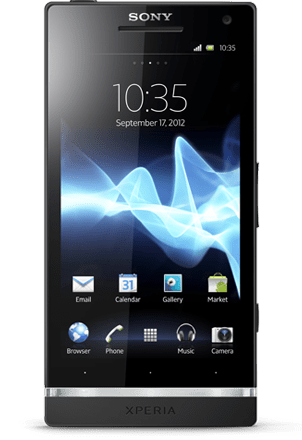 After the launch of HTC One Series in India, now Sony Xperia S debut in Indian Market, Sony Mobile officially launch Sony Xperia S in India with the price tag of Rs. 32,549. Sony Xperia has 1.5 GHz Qualcomm Dual Core processor, 4.3 Inches Capacitive Touch Screen Display With Mobile BRAVIA Engine, 12.1 MP rear camera and 1.3 MP front camera with Auto Focus and LED Flash. Unfortunately Xperia S runs on Android 2.3 Gingerbread OS and you’ve to wait for Q2 to get Android 4.0 Ice Cream Sandwich update. Sony Xperia S comes with Internal Memory of 1 to 1.5 GB with 1 GB of RAM and Up to 32 GB SD card support. Sony Xperia S is certified by PlayStation, it means you can play games like Need for Speed Shift by EA and more. All the games title with PlayStation can be play on Xperia S. The phone is available in two colors: Black and White. The phone will cost you Rs. 32,549. You’ll also get Accessories worth Rs. 4000 and lifelong 50 GB Cloud space on Box. Sony Xperia P, Xperia U and Xperia Sola will launch in Q2.